Yes! Some citizens are already planning their run for office for 2020 and have asked us to post their responses to our Education Position Questionnaire. We will not have a 2020 Education Position Questionnaire until after the legislative session ends this year and we know what issues are still critical to the success for our public schools. Public Schools First NC advocates for an effective public education system that will prepare each child for productive citizenship. We believe that public schools are the foundation of the American Dream and the core of America’s strength. Our goal is to educate and inform North Carolinians about the critical public education issues that affect our schools, our teachers, and our students. We understand that sound public policy supporting public education must be enacted and funded by all elected officials. PSFNC supports the enactment of specific policies and resource levels that are critically important for public education in NC. Learn more about what we support. PSFNC supports the analysis of policies, legislation, funding, and outcomes to educate and inform citizens regarding issues affecting public education in NC. PSFNC supports the power of well-informed citizens to advocate for education policies that reflect their values and positions when engaging with candidates and/or elected officials. What is the PSFNC Education Position Questionnaire? In an effort to meet our goal to educate and inform citizens about public education issues, PSFNC supports the collection and dissemination of information on all elected officials and candidates’ positions regarding public education policies and funding. Accordingly, we offer candidates for public office the opportunity to respond to the Public Schools First NC Education Position Questionnaire consisting of 10 simple position statements. PSFNC will share those responses on our website, social media platforms, and other media channels. Why take the PSFNC Education Position Questionnaire? Citizens need to understand candidates’ and elected officials’ positions on the critical issue of public education. Candidates’ responses help citizens understand how well-aligned candidates’ positions, priorities, and commitments are with their own. Clear, published positions enable accountability for those who enact public policy and determine funding and resource levels. Citizens and constituents can contact elected officials based upon whether and how they choose to respond, and how they demonstrate commitment to their supported positions. The PSFNC Education Position Questionnaire is non-partisan. The questionnaire reflects policy positions of elected officials and candidates, not their political parties. Elected officials and candidates should only state the office they hold or seek, not their party. 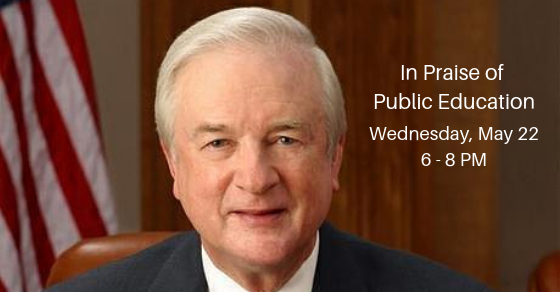 All elected officials and candidates for public office are invited to respond. The PSFNC Education Position Questionnaire is simple and easy to answer. It includes 10 statements and requires only YES or NO responses. Responses may vary on specific statements; responders may select YES or NO to all or some combination. Responders may include optional, additional comments to provide more context for their positions. PSFNC will publish the responses, if submitted timely, from elected officials or candidates for NC House, NC Senate, NC statewide offices that directly affect education, and county commissioners from our 100 counties. Take the PSFNC Education Position Questionnaire! To take the questionnaire, simply click the link above. Download the PDF and open it. We recommend opening it in Adobe Reader. Click Fill & Sign and fill out the questionnaire, save the PDF and email it to us at info@publicschoolsfirstnc.org. We will share your responses below. The following links contain the candidate’s responses. Since we do not yet have a complete list of all of the candidates for 2020, we will just list candidates alphabetically for now until the filing periods for each office close. A new 2020 questionnaire will be posted at the end of 2019.